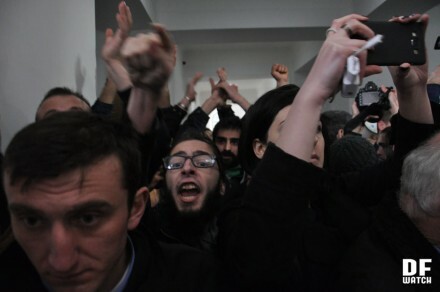 TBILISI, DFWatch–After four days of students occupying a building at Tbilisi State University, Giorgi Gaprindashvili announced that he is withdrawing his candidacy for university chancellor. “I am ready to step [aside] considering the interests of the university,” he said, apologizing to his supporters. 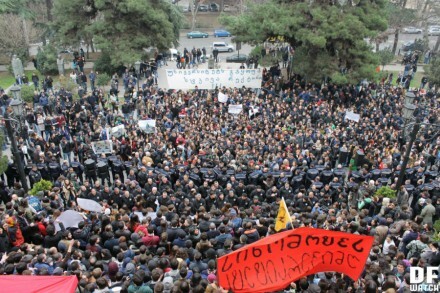 DF Watch reported earlier that students took over the building when Gaprindashvili’s candidacy was announced on March 10. 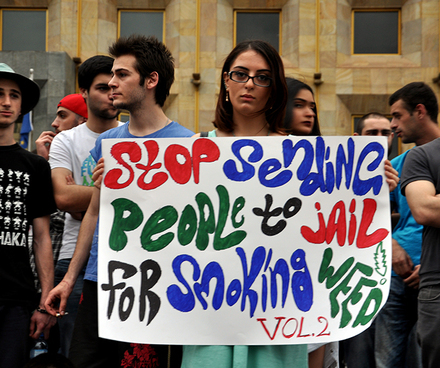 Protesters argue that Gaprindashvili’s candidacy is unacceptable because of an alleged violent incident against student protesters in 2011. The students call their movement Auditorium No 115 after the name of the university room they were staying during the past four days. 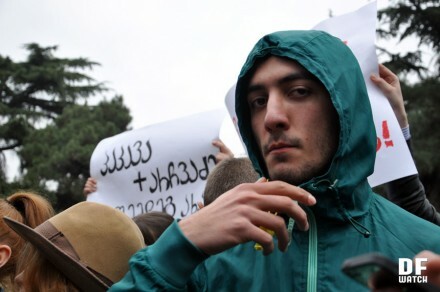 The protest is also related to the students’ conflict with tvitmmartveloba (‘student government’), which Gaprindashvili was a member of at the time when the incident happened. Students are also protesting against the alleged interference by the State Security Service (SSS) in the university’s affairs through the presence of SSS employees called ODRs (‘active reserve officers’) at higher educational institutions. On 14 March, supporters of the tvitmmartveloba organized a counter-rally. The two groups met in front of the university building, and afterward participants in the counter-rally entered the building through the backdoor. Students part of the group Auditorium No 115 were gathered in front of the main TSU building, while tvitmmartveloba and their supporters had gathered at the square on the other side of the street. Both parties whistled and shouted. Police separated the two rallies, when tvitmmartveloba arrived at the same spot. 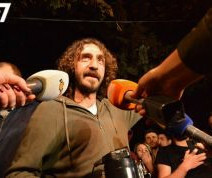 In front of the police cordon, Rector Lado Papava stood with several of the university’s lecturers. Another group of lecturers stood together facing the tvitmmartveloba rally. “Don’t you have a conscience, don’t you feel ashamed right now, can’t you stop?” one of the professors said, addressing the tvitmmartveloba. Among the tvitmmartveloba group, some were chatting and making jokes about the students on the other side. “You have to take photos of us, truth,” one of the girls told a cameraman, accusing him of only recorder the other side. The girls recalled that several people from the counter-rally used to participate in projects by the tvitmmartveloba and received salary for it. Later, the tvitmmartveloba members wanted to go inside the building from the front, asking students to organize a corridor, but they were unable to and had to enter from the back. 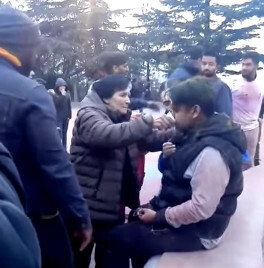 Leaders of Auditorium No 115 announced that the police had managed to prevent a major clash between the groups and only a few people suffered minor injuries. 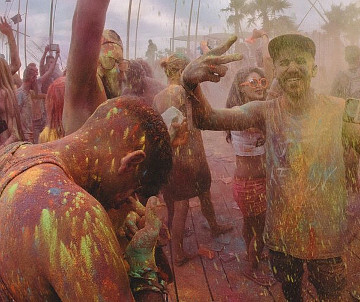 They accused supporters of the tvitmmartveloba of resorting to violence and provocations. The two groups clashed again when the counter-protesters entered the building for the second time in order to force their way into the rector’s office. They accuse him of supporting the Auditorium No 115 group. At the place where the parties clashed in the TSU building, journalists were squeezed between the two crowds and it became almost impossible for them to work. After the first clash, the tvitmmartveloba backed away some distance, but they returned and stood outside the office of the rector. 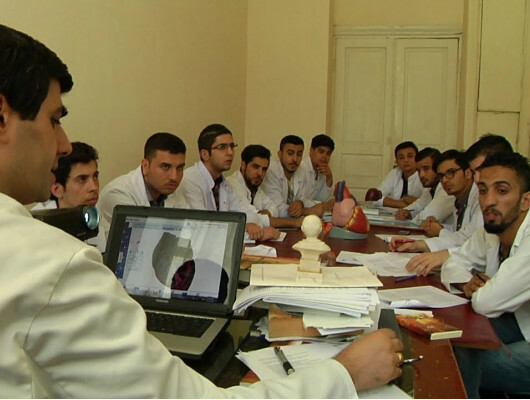 They demanded that rector Lado (Vladimer) Papava take personal responsibility for the existing situation and restore the ‘proper functioning’ of the university. They have, however, supported Auditorium No 115’s demand to free the university of ODRs and ‘all Soviet remnants alike’. 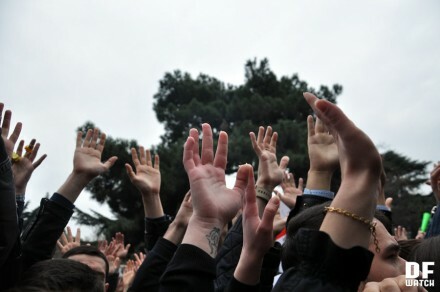 As the main protest grew, groups of students at Ilia State University as well at universities in Kutaisi and Batumi expressed their solidarity with the protesters. The movement was also supported by a number of NGOs, feminist and LGBT groups, Tkibuli miners, and railway workers’ union. 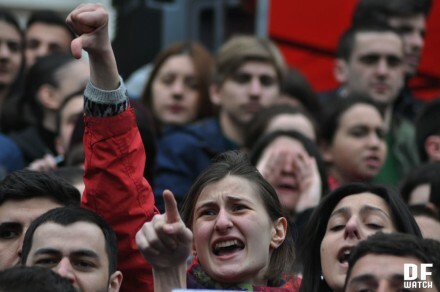 Even though Gaprindashvili withdrew his candidacy, the student group Auditorium No 115 says it will continue to protest until other demands are also fulfilled.